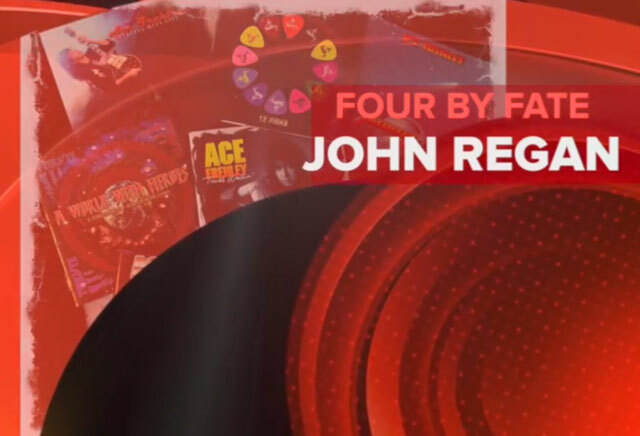 Former Frehley’s Comet/ Peter Frampton bassist, John Regan goes One On One With Mitch Lafon to discuss his new band, Four By Fate, which also includes singer Tod Howarth (Frehley’s Comet/ Cheap Trick), guitarist Sean Kelly (Crash Kelly, Helix) and drummer Stet Howland (W.A.S.P/Lita Ford). The two discuss how the band came about, plans for a new album and tour. John also went through his history with former KISS guitarist Ace Frehley and discussed his time in the band, the making of the Frehley Comet albums, the possibility of a reunion, the vault of unreleased material and much more.